BT has launched a new easy-to-use mobile app which will save small and medium-sized businesses time and effort by allowing them to manage their BT accounts on the move. The new app will allow business customers to quickly access a wide range of services at their fingertips anytime, anywhere. BT has developed the new app in response to customer demand, with the app providing a faster and smarter way for customers to manage their accounts and carry out essential tasks such as viewing and paying bills; checking broadband and phone usage; rescheduling engineer visits; tracking orders and checking service status – all without the need to speak to an advisor. Business customers are also able to report faults more quickly using the app which provides access to live chat. Should businesses need to speak to a customer service advisor, the process is streamlined to connect the customer to an advisor within two clicks on the app. Accessing help and support – with just two simple clicks on the app. Feedback from the beta trial also showed that the convenience of the app’s easy log-in option of touch ID and finger print recognition proved popular with SME customers. Trafford Wilson, Managing Director, Customer Service, BT Business and Public Sector, said: “We’ve listened to what customers said they needed to do business with us more easily. In response we’ve developed a straightforward and intuitive app to meet – and hopefully exceed – their expectations. We’ve received positive feedback so far, with more than 400 SMEs downloading the app during beta testing. 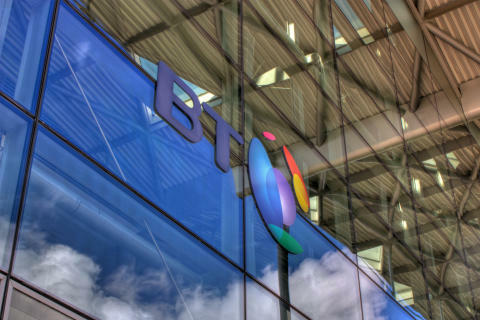 The app can be downloaded directly from www.bt.com/businessapp or by searching for ‘BT Business’ on the App Store or Google Play. Customers only need to provide account details when they login for the first time and thereafter details are retained making it easier to keep track of their account, even if they don’t have any paperwork to hand.